Are you an employee of Vita Coco? Vita Coco® is the leading coconut water beverage brand, celebrated for its delicious, nutrient-rich hydration. Informed consumers, health & wellness experts, pro-athletes and celebrities have all become loyal fans of coconut water, swearing by the Vita Coco brand for its authentic flavor and hydration and replenishment properties. Originally introduced in New York City in 2004, today Vita Coco is available in 30 countries and is one of the most popular natural beverages in the world. 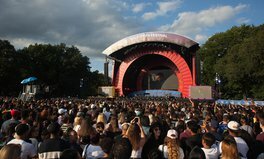 Global Citizen and Vita Coco are teaming up to offset this year’s carbon footprint at the 2018 Global Citizen Festival in New York City. Since 2014, Vita Coco has invested in socio-economic efforts in the communities where they source our coconut water. Vita Coco is excited to continue expanding their social impact program by proactively addressing and supporting sustainability initiatives with Global Citizen.